High density fabric for a soft, rich texture to ensure patient comfort. Precision fit for areas with constant movement (elbows and knees). Helps prevent slippage once bandage is in place. 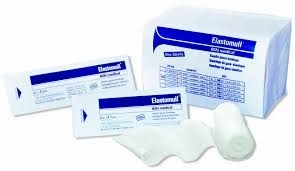 Non-sterile bandage is suitable for securing primary dressing and sterile bandage may be placed directly on wound.